From an early age Elise’s interests have been split between the sciences and the arts. While attending the Ontario College of Art, she discovered the Biomedical Communications Program at the University of Toronto, a unique interdisciplinary program that explores the use of images to communicate complex science and health topics to a range of audiences. This proved to be the perfect path allowing her the opportunity to pursue her interests. During the first few years of her career as a medical illustrator Elise collaborated with a number of publishers and advertising agencies in Canada and the United States. Her meticulously detailed medical illustrations have graced the covers and pages of publications around the world. Working as a freelance medical illustrator and writer, provided Elise with the freedom and resource to follow her other interests. Always interested in health, Elise studied herbology, nutrition and experimented with various diets. In her late 20s, the philosophy and the diet associated with macrobiotics caught and held her attention for many years. Sustaining her brain and body on a macrobiotic diet opened her scientific mind up to other aspects of herself. She studied and practiced Transcendental Meditation and read countless books on philosophy and human behavior. In 1996 Elise co-founded TriFocal Communications along with her partner Andrew MacWha. TriFocal Communications began as a pharmaceutical advertising agency with a focus on patient and physician education. TriFocal was highly respected for the development of education and marketing campaigns for the healthcare industry. In 2010 Elise and Andrew diverted their attention away from the pharmaceutical industry, into their own product, The Will to Heal™ Technique - a specialized program that enables people to understand the profound affect their thoughts and emotions have over their body. They recognized that by combining Elise’s artistic talent with Andrew’s expertise as a facilitator, they could create a unique program that would provide people with an understanding of the physiology of illness, health and the power of the conscious mind. The Will to Heal™ Technique is an effective tool for alleviating stress and optimizing health and well-being. Elise brings her extensive experience and diverse background to all the projects that she is involved with.Her clients credit her work with accuracy and quality of the highest caliber. Throughout Elise’s career, she has always enjoyed painting and drawing organic forms, especially the figure. 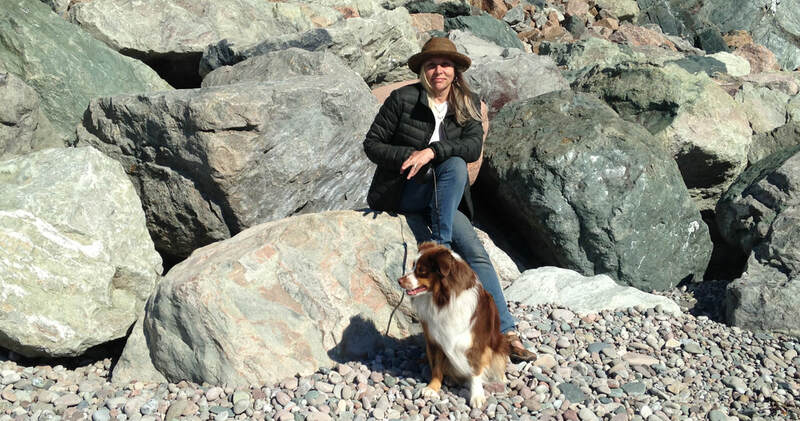 She developed the Anatomy for Artists course, which she initially taught at the University of Alberta and still offers to local groups in the Kawartha area in Ontario. For fun, Elise loves to paint pet portraits including dogs, cats, goats and all feathered varieties of creatures. Elise is available for commissioned medical illustration as well as personalized paintings.